Mrs. Murphy informs Martha Berry that she has enclosed a check for $10 to help the Berry Schools. 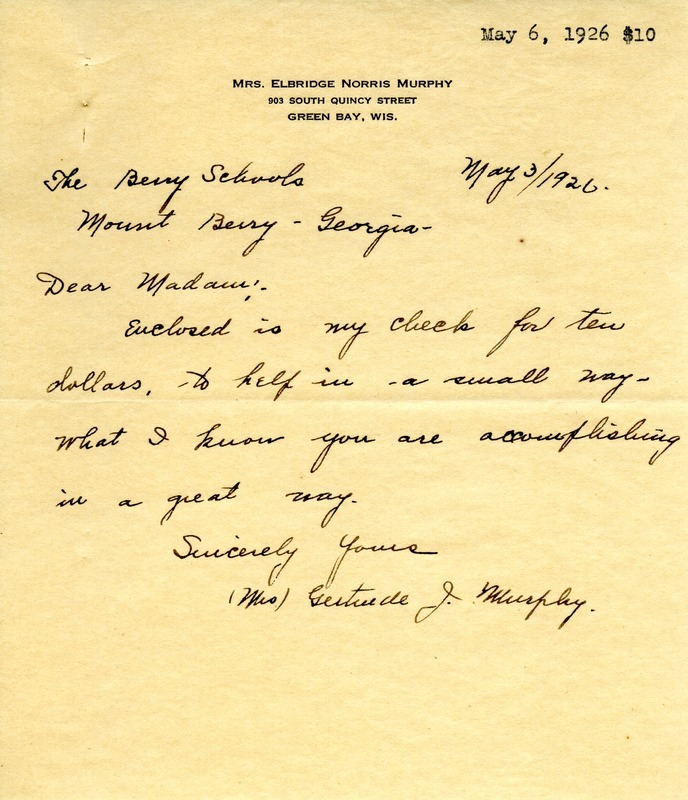 Mrs. Gertrude J. Murphy, “Letter to Martha Berry from Mrs. Gertrude J. Murphy.” Martha Berry Digital Archive. Eds. Schlitz, Stephanie A., Cassie LaJeunesse, et al. Mount Berry: Berry College, 2012. accessed April 26, 2019, https://mbda.berry.edu/items/show/2562.